Make website easily using free tool Wordpress Part II | Life Money and More ! This is part II in the series of 2 parts series on WordPress. Part I is available here. For past many days, I have been trying to video record (screen share) for this post but could not get a good voice quality. There is lots of ambient noise. After some efforts and help through google, I could remove this noise using Audacity from the audio. The next step is to merge this audio back with the video; yet to learn that. Now, let me get back to the topic. 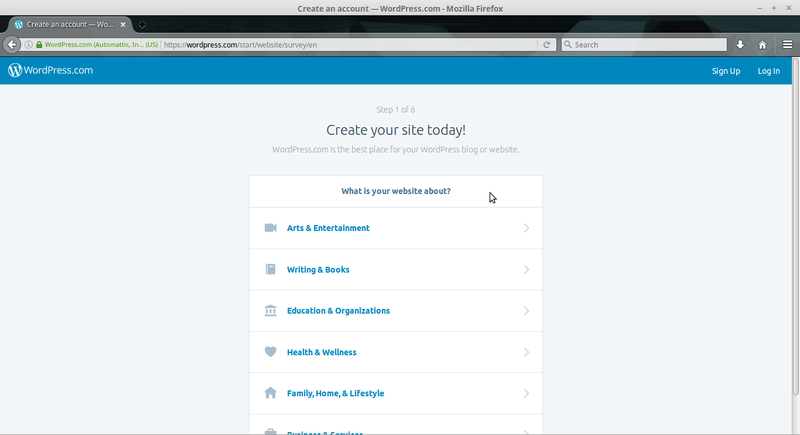 Why on a subdomain of WordPress.com ? Because it’s good, reliable and FREE ! You might be thinking, what is subdomain? 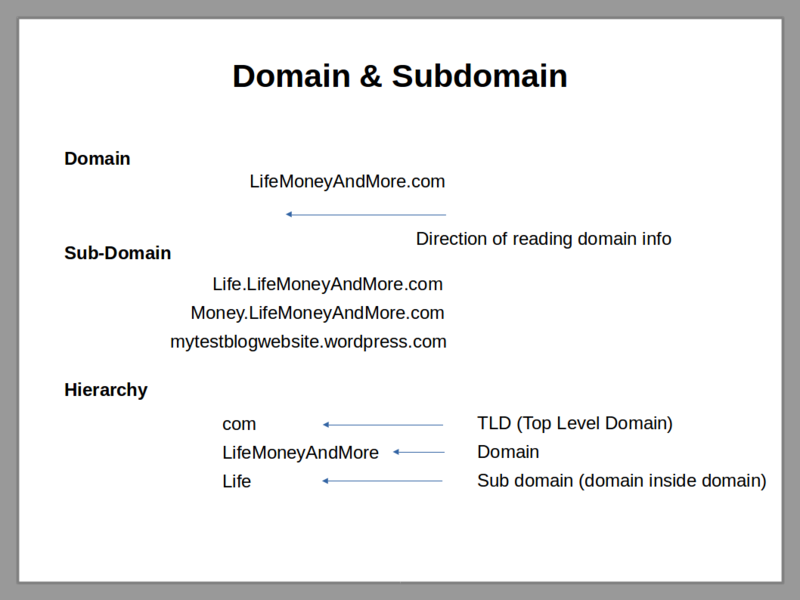 Subdomain is part of a domain. Somebody who owns a domain, creates a (sub)domain within the owned domain and is called subdomain of actual domain. Domain is an address. Sub domain is another address (an extension) within that address. e.g. you own a hotel (address), now every hotel room you create is a sub-address of the hotel. It’s for you, the hotel owner, to decide the names or the number of each room. You just need to ensure every room number/name (address) to be unique. 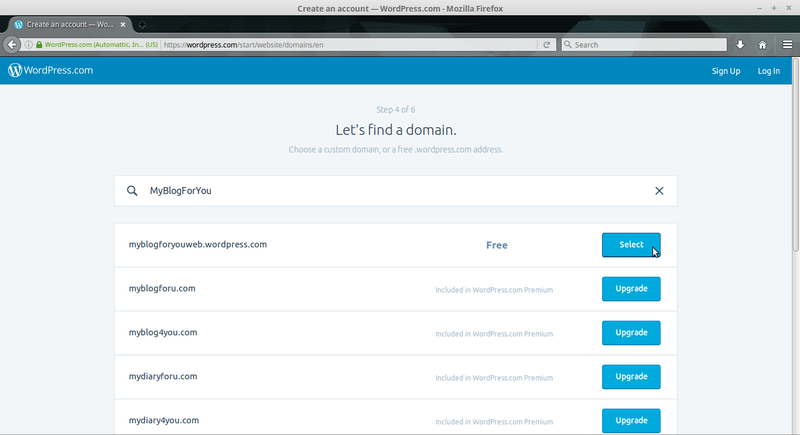 WordPress.com allows you to freely use their subdomains and create websites. This freedom comes with restrictions. You cannot do everything you want. I am covering WordPress.com subdomain here, for more information on WealthyAffiliate.com go here. I am intentionally going to skip certain aspects of website creation. This will allow you to focus only on essential areas and start FAST. Once you understand basics, you can always explore the advanced areas in future. Let’s assume you are a writer and want to share your writing with people around the world. To share what you write, on WordPress you create a Blog Post (or just Post) or a Page. e.g. I created this Post on WordPress. WealthyAffiliate.com and almost all hosting provider give you pre-installed (or one click install of) WordPress. So, actually you don’t need to download or upload WordPress. 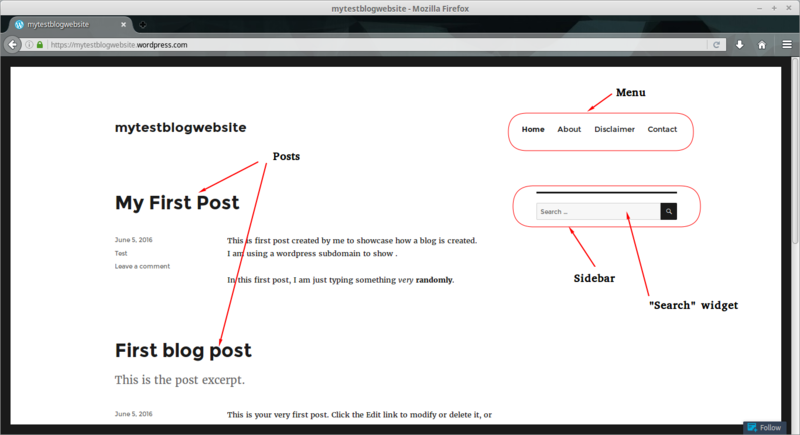 f) Finally, create the website or blog by adding Posts & Pages. Website or Blog, what to create ? Are they same or different ? You will still be able to create website or blog, even if you don’t know the difference . Blog = Web log or a journal. A blog is a type of website which is updated regularly by the blog owner(s). Contents are updated regularly, the structure/look & feel of website stays the same for good amount of time. Blogs are meant to engage the audience regularly. There can be a food blog where the writer writes about new recipe, tips and tricks or other ideas. One can write stories, every day or week updating the blog. Each new article one posts is called a “blog post” or just a “post”. A website is usually a static in nature, nothing changes for really long. e.g. consider a corporate website, you will find hardly any change in it for year(s). There can be news on it, which changes every day but we don’t call it a blog. Some organization may have a “blog” section on their website, which is regularly updated to engage readers. 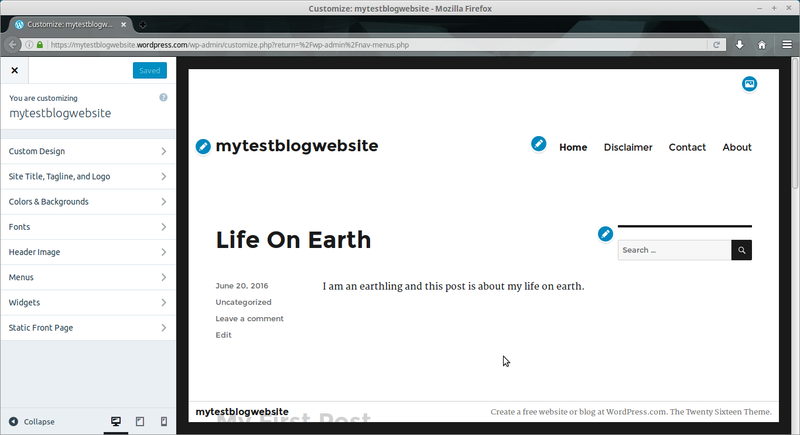 So, you will create a website which is going to be a blog. I will be switching between these two in this whole session. Don’t just read these steps, but follow every instruction and create your own First Free Website with me. This will allow you to create a website on a subdomain free of cost. All this is NOT written in stone so that it cannot be altered easily. You can EASILY change all this. You can even pick “Art & Entertainment” and write content related to “Humor”, “Health & Wellness” or “Writing & Books”. Let’s compare this whole system (WordPress) with human body. Wordpress is like internal parts, the skeletal structure and the organs. Theme is the external appearance like skin, hair, eyes, ears, etc. You have installed wordpress, now you need a theme to complete the system. How your website looks is due the theme you choose (install). 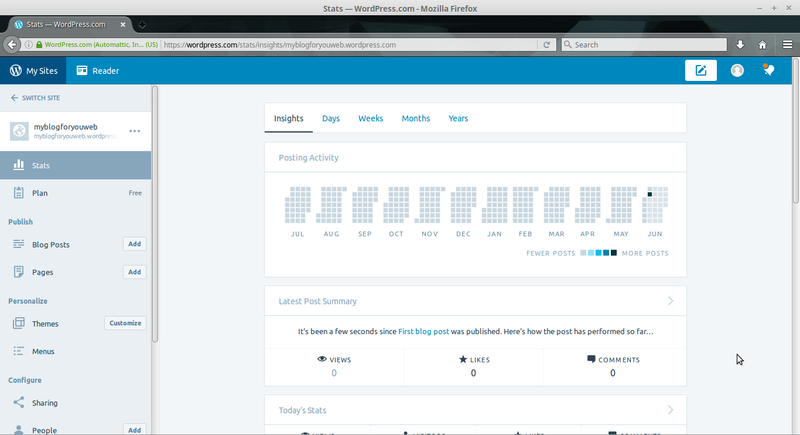 After installing WordPress software, I installed Twenty Sixteen theme. 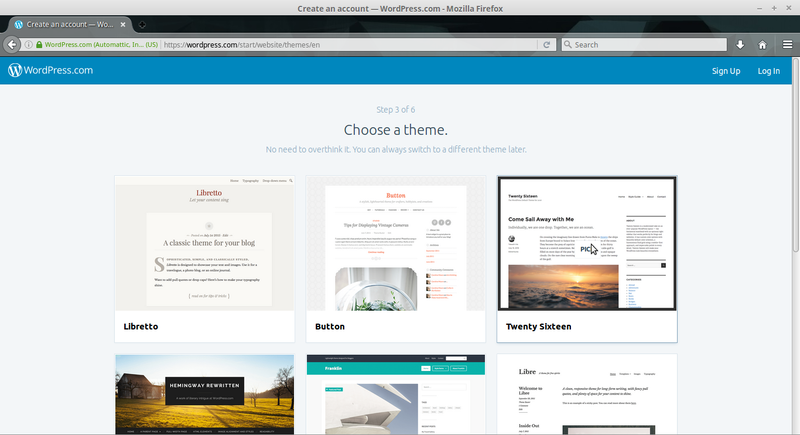 Themes come in two varieties – free and paid (also called premium themes). I chose a free theme because our focus is FREE. 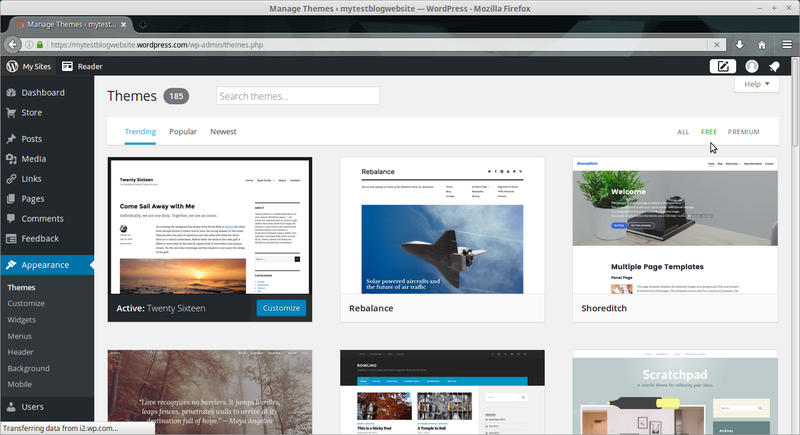 For a professional looking website, choose a premium theme. It comes with support and all the bells & whistles. Now is the time to choose the site address. I wanted to have MyBlogForYou, but is not available. I am given multiple options to choose from. MyBlogForYouWeb is free & rest all are paid. You can keep on trying with your choices of the subdomains and settle for the one you like most amongst all. Wordpress wants to confirm again, whether I want to go for free or can pay. Definitely, we are going for FREE. 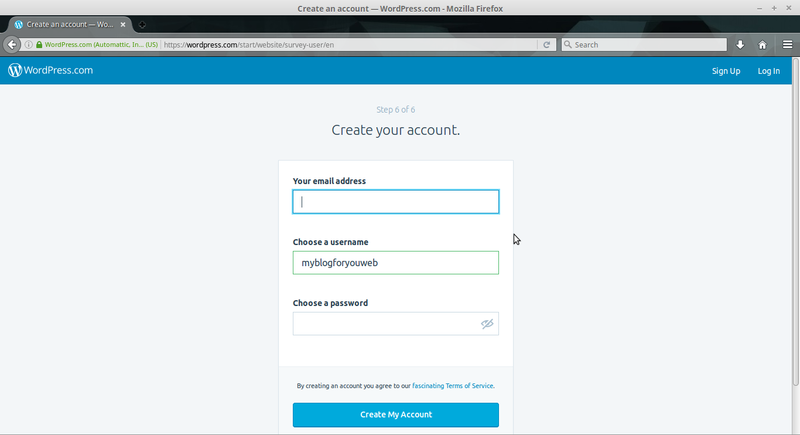 If you don’t already have a WordPress account, create one. I am assuming, you don’t have one (that’s why you are reading these steps to create FREE WordPress site). Provide your email id, keep the blog name same as you selected and choose a password. The crossed eye you see in the right corner of the password box, clicking on it displays & hides your hidden password. This is just to help see what password you have entered. If there is somebody looking from behind, either don’t click this “eye” or let that person go away. 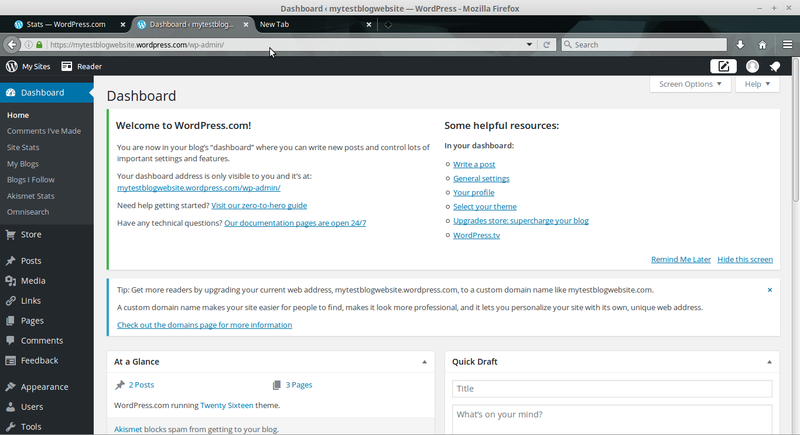 Now your WordPress account is created and you login on the WordPress Dashboard (or backend, or panel). Ensure you log on to your email and click the link sent to you by WordPress to confirm you have created this account. If you don’t click that link, WordPress will not allow you to do anything with this website. Spend some time on this dashboard, look around, keep clicking here & there. Explore without worrying, nothing will go wrong. 08. Blog Posts, Page, Themes & Menus These are important part of WordPress. Blog Posts: If you are here for blogging, you keep adding these VERY often. Pages: Few pages exist on a website, which stay the same throughout e.g. About, Contact, Disclaimer, etc. Themes: You can change anytime you want in future to change how your site looks. Mind Body Money People About Disclaimer. About, Disclaimer are pages and Mind, Body, Money, People take you to the related blog posts (these are categories). Oh, I missed Categories ! Categories: Used to manage your posts. Just like the real world, use them to group your posts based on type. Each post can be in one more (multiple) categories. Provide Username or Email and Password to Login. On Top Left, click on My Sites and you get your original look back. It looks way too different (or daunting) from the original Dashboard. If you are doing exactly what is mentioned here, you are going to create your FIRST BLOG POST ! Take your mouse over Posts, you’ll find Add New, click it. Content: I am an earthling and this post is about my life on earth. For your blog post, write whatever you want. On the right side, there is a button Publish which will make this post visible. Once it is Published, the button label changes to Update. Just below the title you see a link, this is the link to your page where this post will be available. Scroll a bit down and below the Publish button you have Format. Just below the Format (Leave it to Standard), you will find Categories. Categories as I mentioned earlier, are used to manage your posts. If you are writing Poetry, you can have categories like Romance, Nature, Human Nature, Random, etc. A single poetry can fall in as many categories, as you want. You have option to Add New Category. On Left Side, where you clicked to get Add New Posts, you’ll find Categories. This is other way to add categories. 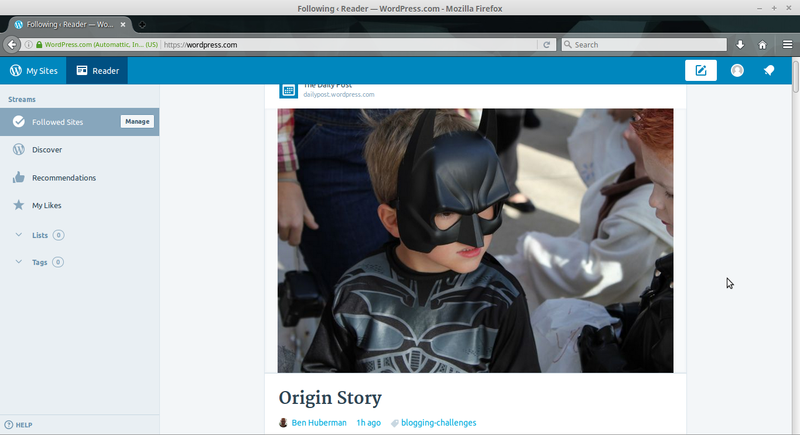 Featured Image allows you to have an associated image for your blog. For your blog posts, the files you keep adding appear in the Media Library tab. You can choose any image for any post you want. 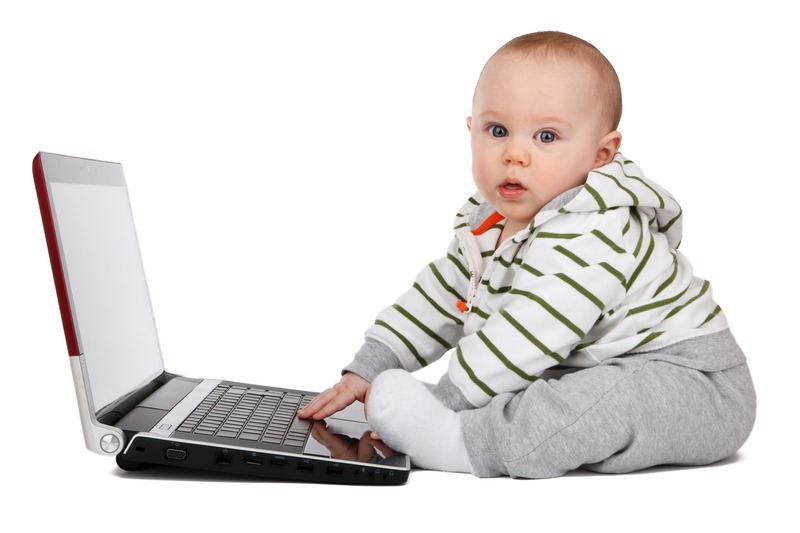 Scroll up now to go to top of this page and you’ll see a baby with a laptop computer. That’s featured image for this blog. The way you added Posts, you can add Pages too. Theme can be changed any time in future. On top right corner, All Free Premium. Select Free and it will show you Free themes, as we are interested only in FREE stuff. Unfortunately, your choice is limited to what is available here. You cannot install a theme which not available here. As I mentioned earlier, WordPress.com website (on subdomain) come with limitation. This is one such limitation. But, this list is so big that you don’t have to worry about adding your own theme. Choose the free theme you like. Allows you to change the visibility of sidebar. Sidebar can be visible, invisible, can appear on any of the sides and it can have contents modified to suit our website. There are lots of rectangular boxes (Widgets) available on the left, under Available Widegts. e.g. You can see Search box being dragged & dropped to the Sidebar box. If you cannot drag & drop, there is another way. Click on the Widget which you want to add. It would display you options, where it can be added. Select that option, select Add Widget and that Widget is added to location selected. Select a menu to edit: Primary & Social Links. Primary is the name of Primary Menu. This menu appears on top right corner. You can add anything under it – Pages (Most Recent, View All, Search), Posts, Custom Links, Categories, Custom Links. Create few pages like About, Disclaimer and they’ll appear here under Pages. Select those & press Add to Menu. Don’t forget to Save (Save Menu button on right side). Again, under Pages -> View All, you’ll find About Me & About Website. Select them and press Add to Menu. You will have About, About Me & About Website at same level. This is not what you want. The rectangular boxes which you see in the Menu are all movable. Simply move the About Me and About Website to a little right (just below About) & you will have them as sub menu items of About. You can move Menu items & Up and down to change how they appear on the actual screen; top one appears first & bottom one, in the end. There is a see a small triangle, pointing downward on each Menu item box. It means clicking it will make something appear (drop down). Navigation Label means how it will appear on the Menu on the page. You can even remove the menu item clicking remove. Just don’t forget to press Save Menu. It allows you to make all the changes as mentioned so far, without switching between backend & frontend. You make changes & see the result there itself. Just ensure, you save by pressing Save & Publish button on top left. If you want to cancel, without saving then you have x button next to (before) Save & Publish button. 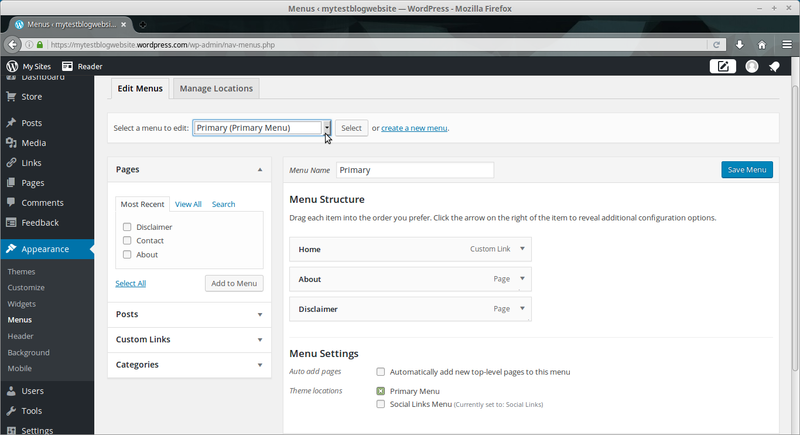 In the WordPress dashboard, you’ll find Settings. Those settings too can be modified here. You have created Posts, Pages, and even customized Menu. 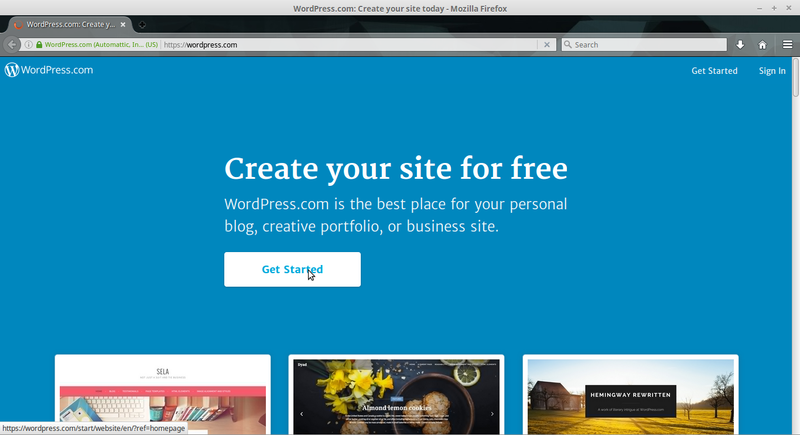 You just created your website for Free. Share the address with people you know.